The tourist authorities were impressed enough to come up and plonk down these cylindrical blocks to mark the site of a forthcoming tourist center. 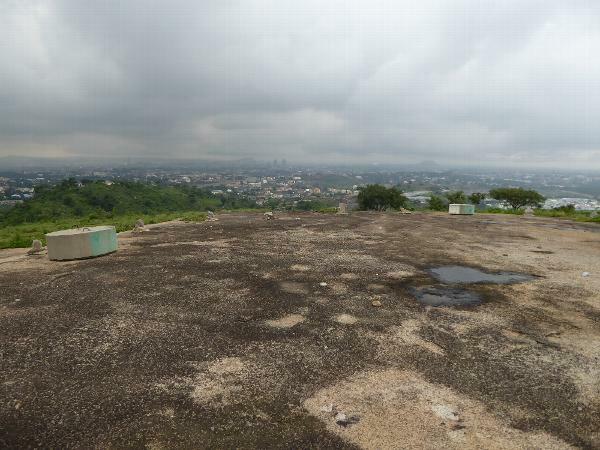 Abuja needs something for tourists, because the things that would normally attract them--the National Assembly for starters--are off-limits. Fortunately, tourist arrivals are exiguous to the point of evanescence.